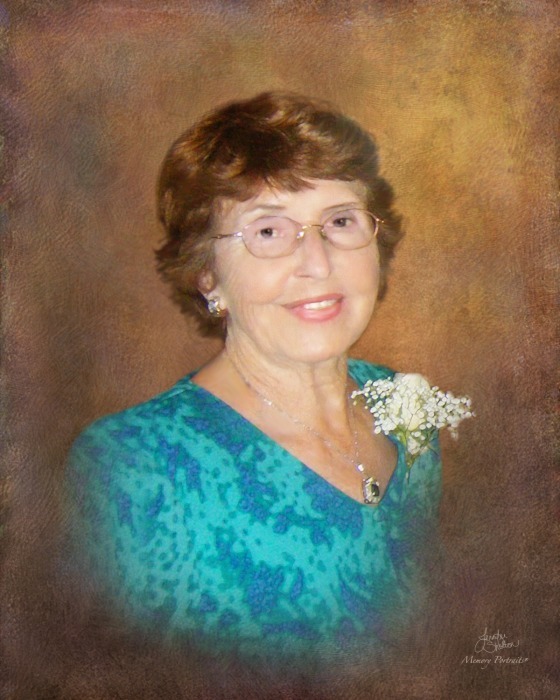 Martinez, GA. – Mrs. Miriam Smallwood Shelton, 87, passed away January 18, 2019 at University Hospital, Augusta. Mrs. Shelton was a native of Glascock County, Georgia and the daughter of the late Oscar Smallwood and the late Annie Raley Smallwood. She was a homemaker and lived in Augusta and Martinez most of her life. Mrs. Shelton was a member of Calvary Baptist Church. In addition to her parents, Mrs. Shelton was predeceased by her husband, Milburn Shelton and grandson, Justin Shelton. Survivors include her son, Tim Shelton (Lynn) of Thomson, GA; daughters, Dianne Waters and Cindy Kamaka (Neal) all of Evans, GA; brother, Ralph Smallwood of Martinez, GA; sisters, Margaret Thompson of Thomson, GA, Becky Smallwood of Martinez, GA; grandchildren, Melanie Glassco (Craig), Katie Whitley (Matt), April Kamaka, CPL, Matt Kamaka, William Shelton (Michelle); and great grandchildren, Alex Glassco, Samantha Whitley, Grady Whitley, Carrie Anne Shelton and Maddie Shelton. A graveside service will be held at 3 p.m., Sunday, January 20, 2019 at the Mt. Zion Congregational Methodist Church Cemetery, 7519 Edgehill Mitchell Rd., Mitchell, Georgia with Pastor Lee Roberts officiating. The family will receive friends following the service in the church fellowship hall. It is the family’s request that memorial contributions may be made to Mt. Zion Congregational Methodist Church, c/o 6263 Euphrates Church Rd., Gibson, GA 30810. Beggs Funeral Home, 799 Cobbham Rd., Thomson, GA is honored to serve the family of Miriam Shelton.